The Kimberley Alpine Resort has more to discover. 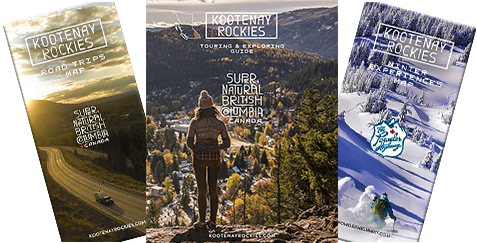 Boasting 80 runs plus North America's largest gladed terrain (over 500 acres), a vertical rise of 751 m (2,465 ft) and an average snowfall of 460 cm (181"), this historical mountain and community will provide more than you think when it comes to fun and adventure. It's no surprise that Ski Canada Magazine 2012 awarded the Kimberley Alpine Resort with a 'Best of Skiing Award' for Best Free Stuff, Best Deals, Best Snow and Best Tree Skiing! Facilities: Ski Shop, rental shop, day care, ski school, restaurants including the Kootenay Haus Mountain Top Bistro. The resort is known for great snow conditions, plenty of sunshine and consistent snowfall of light and dry, Purcell powder. Kimberley offers a wide variety of terrain to satisfy all ability levels: the front side of the mountain is well suited for beginner and novice snow enthusiasts who enjoy long wide-open trails that are groomed to perfection. The Easter Bowl on the backside, is a haven for the more adventurous type, with gladed terrain, moguls and long-lasting powder stashes. Beginners will especially love it at Kimberley this winter with the new ski run - Alpine Slide. From the top of the Northstar Chair, skiers can now take a new designated Green run around the steepest pitch on the Main run. And, for those skiers and riders that don't get enough during the day, night skiing is offered Thursday, Friday and Saturdays on the Main run and the rail park. The Resort Village features many accommodation choices with the Trickle Creek Lodge, a ski-in ski-out property adjacent to the North Star Express Quad chairlift, being one of the premiere slope side properties. The Owl Learning Area has a T-bar and a 150 foot magic carpet with a corralled, low angle learning slope. It includes the best learning terrain to make the first experience, your best. In addition, existing terrain will be re-contoured to offer beginners a wider, lower angle slope to master the initial skills before heading up the North Star Express Quad. Next to the Trickle Creek Lodge, the Polaris Lodge is the hub of activity with the Stemwinder Bar & Grill offering a full service bar, restaurant and apres ski entertainment every weekend throughout the season. This facility seats 200 guests, with an additional 100 seats under a heated, covered balcony and patio. For easy and friendly service, the Polaris Lodge also features a guest service lodge offering a Rental and Repair Shop, Ticketing office, the Slopeside Coffee & Deli (proudly serving Starbucks coffee) and Locker area. The Resort's retail shop, Sports Alpine, and the Winter Sports School can be found in the resort plaza between the Polaris & Trickle Creek Lodges. The Kimberley Conference & Athletic Training Centre is also located at the ski base. The centre is brand new and open for operation. The Kimberley Alpine Resort offers great Ski & Stay packages. From ski-in ski-out accommodations to unique condominium units and chalets nearby, Kimberley has the right accommodation package for you. As an added bonus, Kimberley also offers 33 kilometres (21 mi) of groomed nordic ski tracks for both classic and skating. Be sure to ski and stay at the Kimberley Alpine Resort this winter. It has it all! North Star Express Quad chairlift. Great snow conditions and plenty of sunshine.